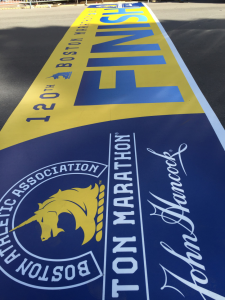 RoadSafe’s Avon Branch Keeps “Boston Strong” with Iconic Boston Marathon Finish Line - RoadSafe Traffic Systems, Inc. The 120th Boston Marathon was held on Monday, April 18th, also Patriots’ Day in Boston. 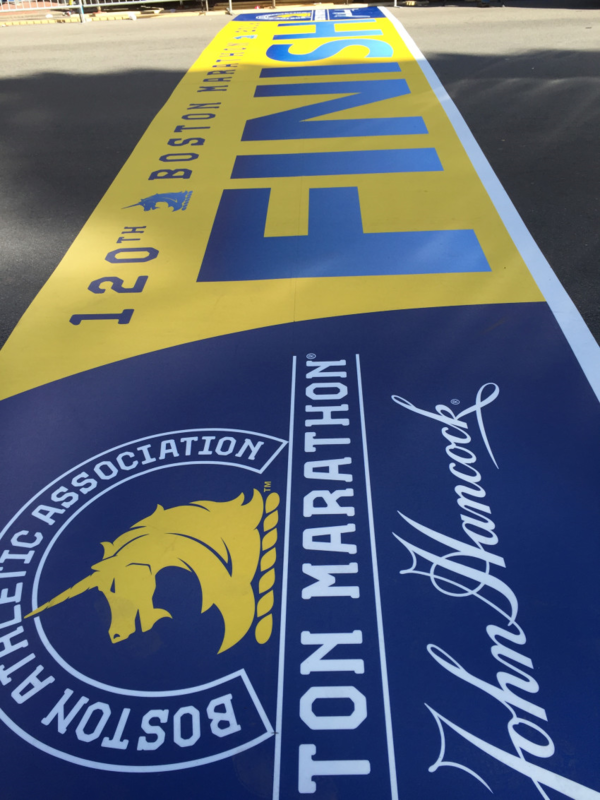 The race is the oldest marathon starting in 1897 with just 18 entrants and 10 finishers. Today, the race is the most popular of marathons in the world with an average of 30,000 runners. For close to 25 years, RoadSafe Traffic Systems’ Avon branch has had the honor of painting the iconic blue and yellow finish line in front of the Boston Public Library on Boylston Street. An interesting fact is that RoadSafe paints the finish line after the race and then maintains the markings throughout the year. 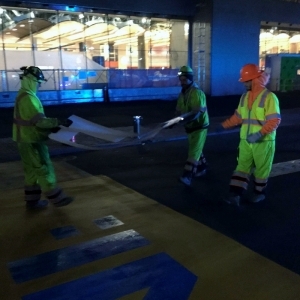 A temporary finish line is in place the day of the marathon. 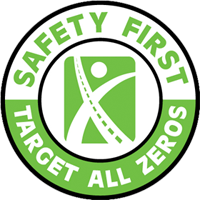 Congratulations to RoadSafe’s Avon team for all their great work and in making us proud! Next Next post: RoadSafe Traffic Systems, Inc. Acquires Protection Services Inc.